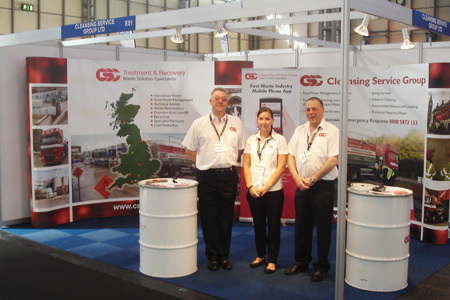 Cleansing Service Group (CSG) is a leading provider of waste management services to industry throughout the UK. The comprehensive range of services available through the company’s depots in Wilton, Middlesbrough and its 20 other UK locations includes Total Waste Management – which effectively minimises the amount of waste generated thereby reducing disposal costs – interceptor clearances, tank cleaning, cleaning & jetting, and emergency spills response. CSG, which has its headquarters in Fareham, Hampshire, is one of the UK waste industry’s front-runners. The company operates a nationwide network of specialist treatment facilities including an award winning treatment and disposal facility at Cadishead, Manchester. The company is strongly motivated by the goal of diverting waste from landfill and preserving valuable raw materials by recovering and recycling as many as possible. New and innovative ways to increase the amount of hazardous and non-hazardous waste it is able to recycle are constantly being developed.